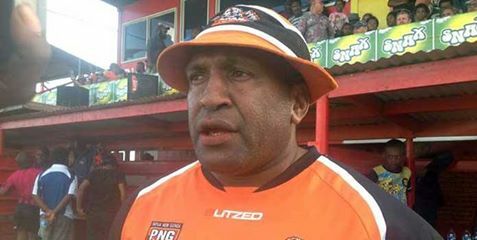 STANLEY Tepend coach of Digicel Cup franchise, Lae Snax Tigers, has been invited by the 2015 Queensland Intrust Cup champions Ipswich Jets for a two-week coaching stint with the club in Australia. Tepend revealed that based on the establishment of a relationship with the club in the Queensland competition that has faced off with the SP PNG Hunters for the last two seasons, Jets have been an inspiration for the Lae-based Tigers. Tepend said the Jets have a different style of football that has immersed the Tigers’ interest to adapt which has proven worthy with winning the Queensland State premiership last year. "We are interested in the way they (Jets) prepare. How they run the club and if we can get the tips from them it would go a long way for the local franchise," said Tepend. He said the trip is fully-funded by the Lae Biscuit Company and he will be accompanied by his team manager Tim Rodgers. He added that since taking over the coaching duties for the Lae franchise in 2013, the team’s culture has shifted from wooden spooners to premiership contenders winning two minor premierships in 2014 and 2015 despite falling short of the champions’ title. Tepend said the Tigers lair has come to realise its shortfalls that have affected the Tigers to come so close in winning the last two seasons of the Digicel Cup. He said probably fatigue had caught up with the boys towards the end and finals playoffs as such he has shifted the approach to resorting to a longer break and starting pre-season training at the start of the year rather than in November. Tepend also indicated that this season the Lae Rugby League will come aboard to influence the players’ content for the Tigers. And while the two-week stint with the Jets comes aback the announcement of the final 25-man Tigers side to be announced after today’s final team selection match, Tepend hopes to return and implore skills and knowledge attained in the upcoming trials in two weeks time. Rodgers said possibly three trials will be played by Tigers, one with a Madang select side and two with two other Digicel Cup franchise clubs. Rodgers said the trials with the other two teams are yet to be confirmed. The Tigers travel to Madang for their annual charity match in two weeks. Tepend said he leaves on the weekend and returns after February 21.